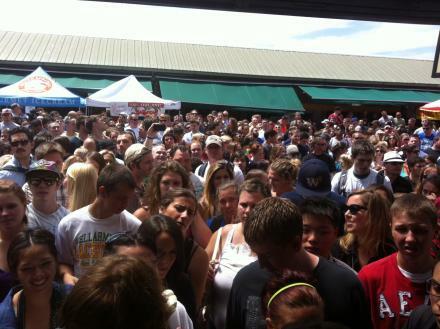 The crowd at Pike Place Market to see Will & Zach at Local Color Cafe. 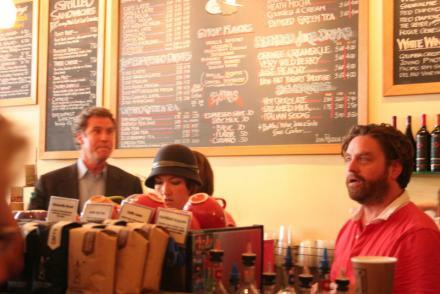 ﻿ Will Ferrell and Zach Galifianakis are touring the country on a campaign to promote their upcoming movie "The Campaign". 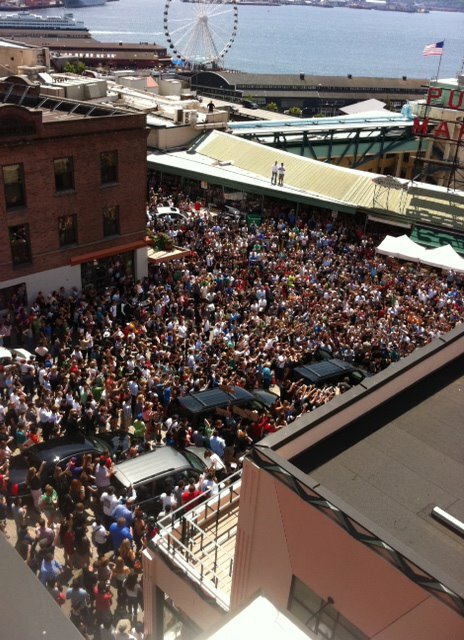 They made a stop today at Pike Place Market in Seattle to serve the public coffee at the Local Color Cafe. Let's just say the crowd that showed up is probably more than they expected. The entire street outside the Market is swarming with people. If you're looking for a cup of coffee, I would probably avoid the Local Color Cafe today (or anywhere near the Market), as you might have to wait awhile.